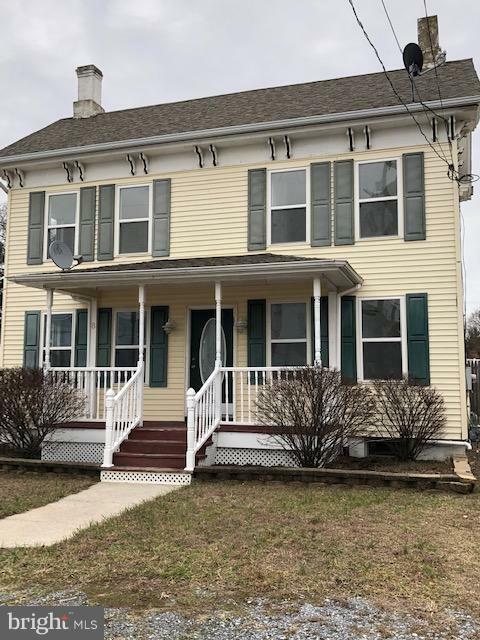 All Dorchester homes currently listed for sale in Dorchester as of 04/22/2019 are shown below. You can change the search criteria at any time by pressing the 'Change Search' button below. If you have any questions or you would like more information about any Dorchester homes for sale or other Dorchester real estate, please contact us and one of our knowledgeable Dorchester REALTORS® would be pleased to assist you. "Enjoy total privacy, situated on the edge of the Maurice River. Captivating water views from all rooms. Open Floor Plan with Every Room Recently Remodeled Custom Gourmet Kitchen with Granite Counters 2 years new stainless steel GE Convention ovens (2) Sub Zero single door 2 drawer Refrigeration System with Cabinet Covers Sub Zero 2 drawer under counter mount Freezer with Cabinet Covers Stainless Steel GE under cabinet mount Microwave 2 Stainless Deep Bowl Sinks Master Bedroom on Main Floor with Custom Walk in Closet/Recess Lighting/Tray Ceiling Bedroom 1 on Main Floor X-Large Bedroom 2 with Private Bath on 2nd Floor Side by Side Letrolux Front load Washer and Dryer on Main Floor ? New! Australian Cypress Hardwood Floors throughout home Bonus Room/Office over Garage-Private Exterior Entrance-Half Bath-Gorgeous Views Separate Air, Heat and Electric for over Garage Bonus Room/Office Space 2 Car Attached Garage- Auto Garage Door Openers and Heated Detached 24 x 24 Carport with Attached 24 x 50 Workshop/Storage with Electric Generac 27kw Generator for house Cedar Siding/Shingle Roof New Trex Composite Decking the entire length of the home. Color Spice Rum with Black Handrails Screened in Porch with Electric 13 x 13 35 Feet off Rivers Edge off the Maurice River Concrete Boat Ramp Deep Water Boat Access Riparian Permit Water Rights 15 min Boat Ride to Delaware Bay Crabbing/Fishing/Kayaking/All Water Sports all in your backyard! FULLY FURNISHED! GREAT VACATION HOME OR PRIVATE RETREAT"
"Built in 1998 this gorgeous 2bedroom (with possible 3rd) 1 bath property is picture perfect! Open floor plan; all original hard wood flooring; main floor laundry; natural gas; views to die for; tranquil setting for the buyer looking for privacy!! Call today to see this immaculate home!" "Step right into this historic colonial home and admire the country charm. 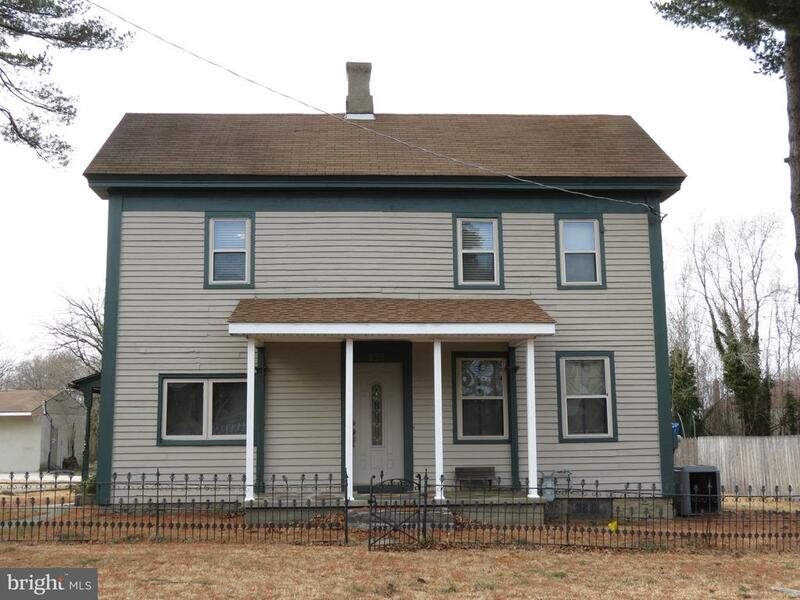 Enjoy this freshly painted three bedroom 1 1/2 bath with a possible fourth bedroom. The very spacious three car detached garage sits on the side of this very quaint and quiet 1/2 acre lot. Come see the original banister around the staircase and wrought iron fence. Move in ready!" "Have you ever wanted to live close to the shore? 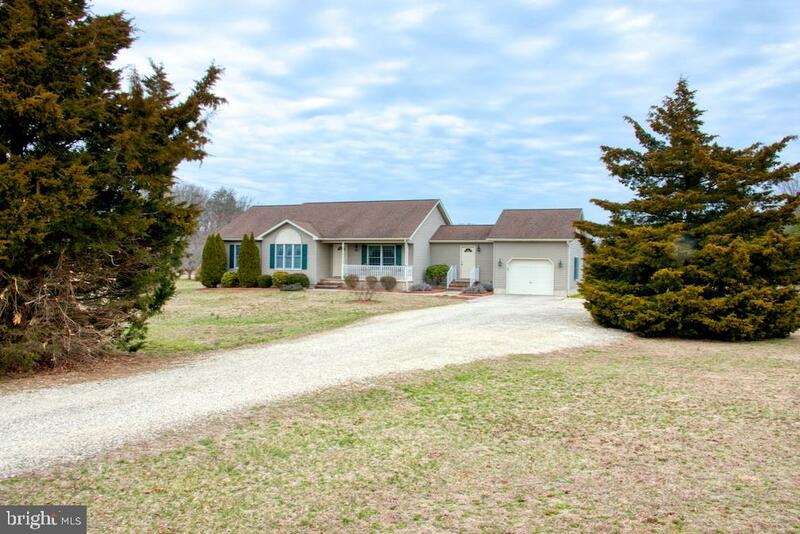 The location of the this move in ready three bedroom is in the heart of Maurice River, overseeing the Delaware Bay. Its a fisherman's and nature lover's dream. Local fishing amenities, and nature awaits you. 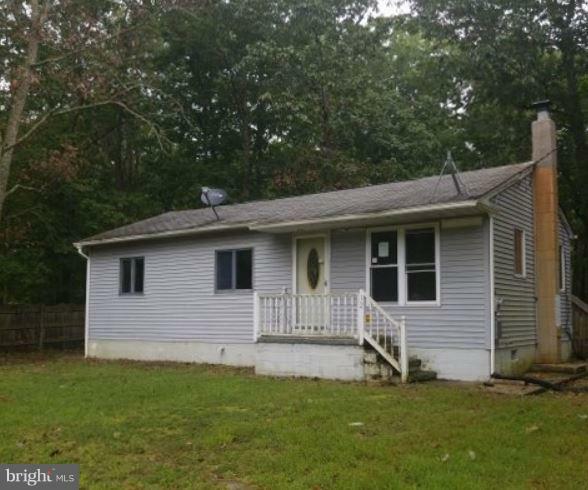 The seller has a passing septic certification, and is willing to credit for new flooring. That means you can be the next Joanna and Chip Gaines and finish off your dream home. Schedule for your private tour today!" "Come tour this adorable bungalow. It is currently one bedroom but there is an additional area that can be made into another room. This home features a large outdoor area. U shaped driveway. New roof in November 2016, new flooring, pump/water system ect new in 2013, stove is a 2013 model. This property also has passing reports for water, termite and septic." "All offers are subject to Seller's conditions & approval. Property is vacant."